Thanks to the key board by LindDNA, the annoying key search is over! The board consists of a magnetic surface covered with recycled leather, allowing you to place your keys against the board and they will remain pinned up. The key board is easily stuck to the wall with the help of adhesive strips. Thanks to its organic shape, the key board can be hung up in the hallway to pin up your keys or in any other room to serve as a decorative feature. 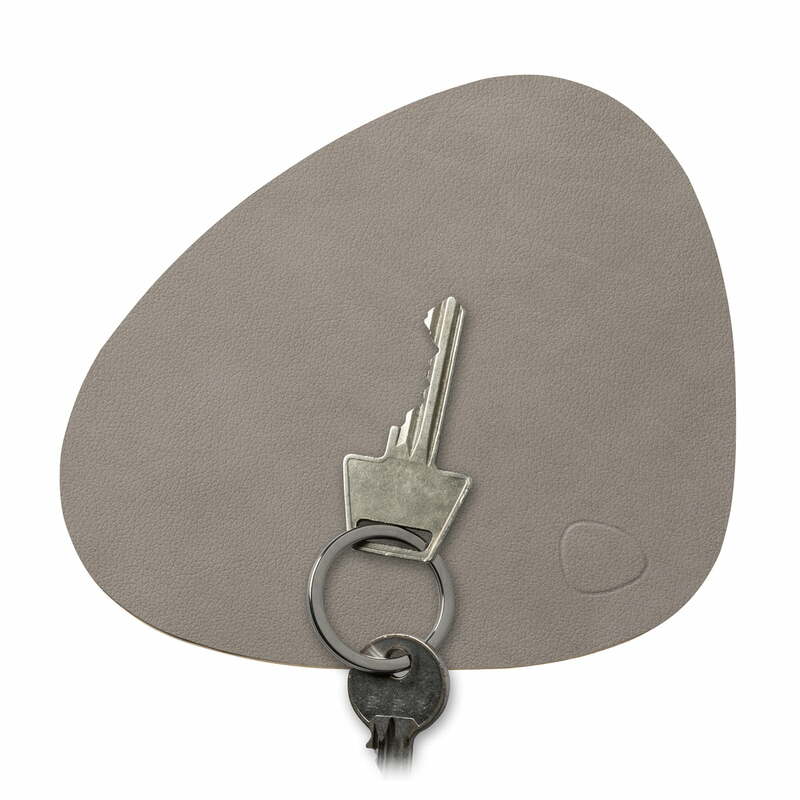 The key board - like all products by LindDNA - is made of recycled leather and rubber and is available in different colours. Key Board 16 x 13 cm by LindDNA in light grey Nupo (5 mm) The board consists of a magnetic surface covered with recycled leather, making it possible to simply place your keys against the board and they will remain pinned. Lifestyle product image of the Key Board by LindDNA. The key board is manufactured from leather scraps incurred from the production of shoes, clothing, and furniture. The key board is easily stuck to the hall with the help of adhesive strips. 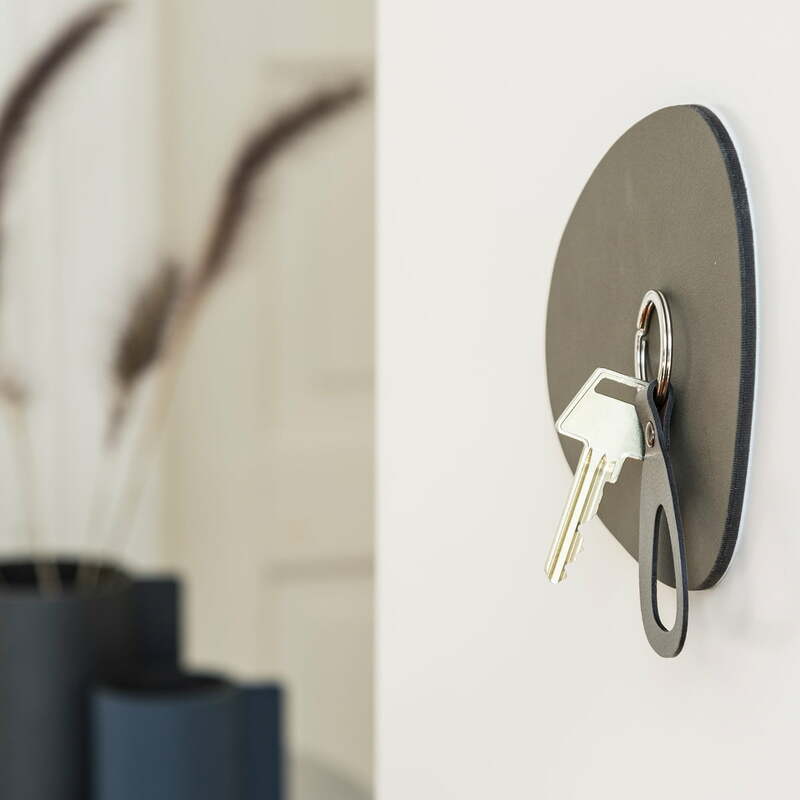 Thanks to its organic shape, the key board can be hung up in the hallway to pin up your keys or in any other room to serve as a decorative feature.